Bullying is at epidemic levels across the country and can take many forms — verbal, social, physical and cyberbullying. 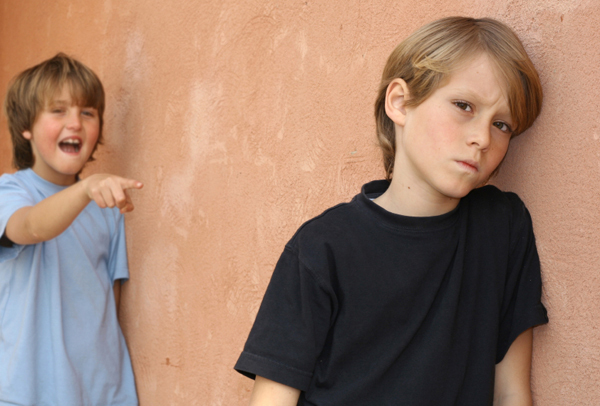 Learn more about bullying and what you can do about it with these helpful bullying resources. The first bullying resource for parents is their child’s school. Whether your child is a victim of bullying or is the bully himself (or you are just concerned about intimidation at the school), you should reach out to your school’s teachers, counselor and principal for help. If you don’t get satisfactory results or assistance, don’t hesitate to go up the chain of command to the superintendent and ultimately the state department of education. The government website StopBullying.gov can be a helpful resource to learn about bullying policies and laws. Forty-nine states have passed anti-bullying laws. The website also includes tips on preventing bullying, responding to bullying and talking about bullying. Based on a nationwide survey of more than 2,000 students and their teachers, No Kidding About Bullying: 125 Ready-to-Use Activities to Help Kids Manage Anger, Resolve Conflicts, Build Empathy, and Get Along (Amazon, $27) provides educators, parents and youth leaders with a wide assortment of activities that can be used to help children resolve their conflicts without resorting to anger or violence. Geared toward grades three to six, this book and CD-ROM features games, role plays, group discussions, art projects and language arts exercises. The lessons affirm the importance of respect and kind actions. This international best-seller is a favorite among parents and teachers. The Bully, the Bullied, and the Bystander: From Preschool to High School — How Parents and Teachers Can Help Break the Cycle of Violence (Barnes & Noble, $13) talks about topics from conflict resolution to the three kinds of bullying. This practical, compassionate book is aimed at helping the triad of bullying — the bully, the bullied and the bystander. MetLife Defender is your number one tool to keep your kids safe on the computer. Once you’re a member, it continuously scans, analyzes and eliminates threats to your computer and personal information, but it doesn’t stop there. MetLife Defender combines easy to use patented social media applications with ongoing scans of file sharing networks to detect potential cyberbullying activities. This DVD about bullying is essential for your little ones. Perfect for parents to watch with children ages 4 and up, Stand Up to Bullying (Amazon, $13) features Lucky Kat and Daren the Lion to address the topic of bullying. It talks about the different types of bullying and teaches children the best ways to respond. Another vital bullying resource for parents is The Bully Project. The Bully Project is highlighted by a documentary film, Bully, about bullying in our schools. Directed by Lee Hirsch, the film follows the lives of five students in Georgia, Iowa, Texas, Mississippi and Oklahoma who face bullying on a daily basis. The Bully Project is more than just a film — it’s a call to action and a tool to raise awareness about bullying. On The Bully Project website, you can find out more about the film and its stories, as well as tips and suggestions for parents, students, educators and advocates. Kids can share their own stories about bullying by posting stories, uploading photos or recording videos. You can also find out about new initiatives in school, communities and online. Watch the trailer below to learn more about the film.